I am getting some strange SOH values on my 2018 Soul EV+. Restarting Torque and power cycling the car didn't make a difference. 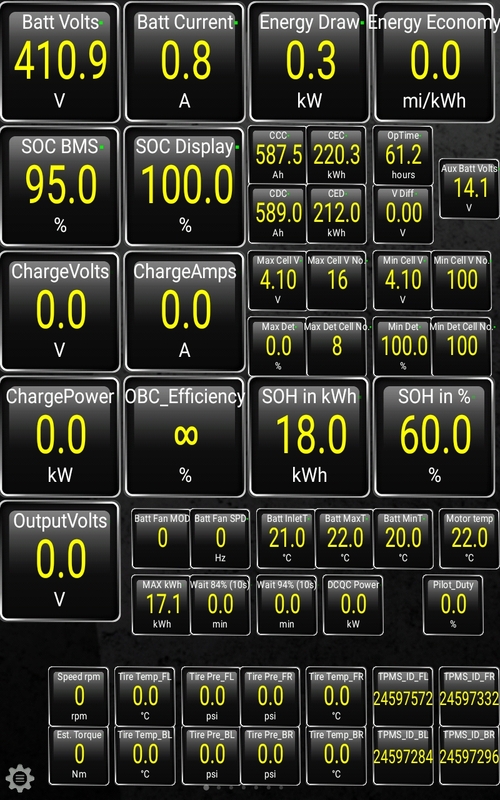 I was finally able to get a 33.0kWh value for a brief moment but it went back to this 18.0kWh, 60% SOH value. I checked again today and it shows the same thing. JejuSoul wrote: We have conflicting data on the three 2018s we have tested. The oldest of the 3 cars is Ussiker's, the newest is GizmoEV's. GizmoEV's 2018 now shows zero, 100. I don't know what is going on either. We will have to wait and see. For now the SOH measurements on the 2018s should be taken with a grain of salt. Another 2018 showing zero, 100% for Max and Min deterioration. We have two 2018 cars that showed zero zero when new and then zero, 100% after a few months. A rental 2018 car that wasn't tested new showed zero, 100% after a few months. There is only one 2018 car that still shows zero zero. Your car still shows zero deterioration. Maybe next year we will see some. Although hopefully not. Was there a reason for posting the full list of HEX from 2 different times. This thread is for Setting up Torque to show BMS data. Do you think that there is a new PID code to be found in your data? anyone have an idea as to what temperature would be considered too hot to charge? I doubt temperature has anything to do with your slow charge rate. I wouldn't worry about a battery at 32C. 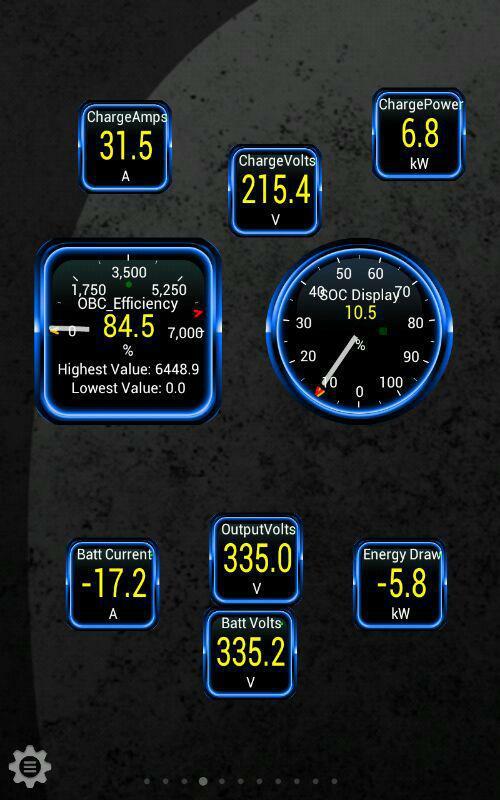 From the Arizona test data the Soul EV will take a charge however hot it gets. 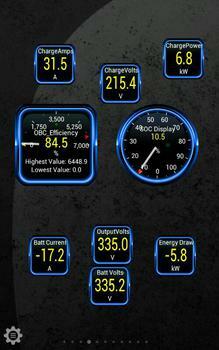 - Some graphics about Chademo Charge Stations. This is a bad design. Charging with battery temps above 50C will degrade the battery rapidly. Here's a similar experience I had just before I got my OBC changed. - Charging Fault error. "JejuSoul wrote: ....My car continues to misbehave. Am charging again right now after the multiple failures a few days ago. Got one failure so far and re-started. But when I looked with Torque all looks normal. 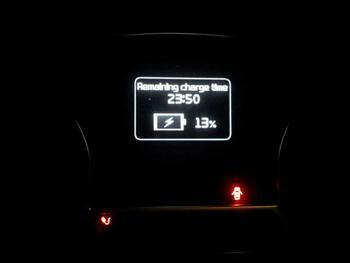 I went back out 20 minutes late and the charge is continuing, but the timer is 2 hours less. apon reaching next level 3 65 km later it refused to charge i tried about 5 times the greenlots customer service said no errors showing on level 3 device. i made our way to a level 2 at a hotel and once plugged in it said 18 hrs left to charge and as we were unloading our bags it stopped charging. i unplugged and plugged back in and it said same thing 18 hours left to charge. this time we left before it cut out. 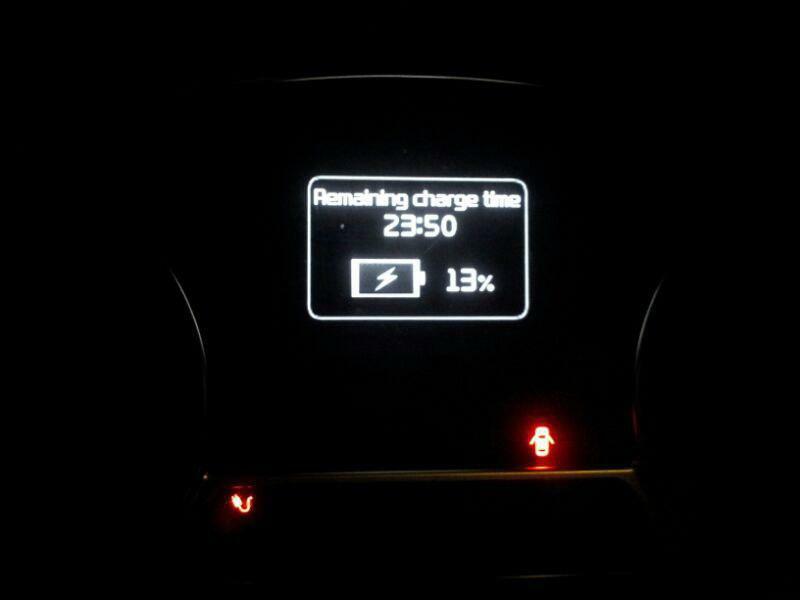 but i had to go back to car to get something an hour later and it had stopped charging. i left and went to dinner and went back several hours later and it had kicked off another 3% from previous plugin. this time i unplugged and plugged in and it said .2 hours left to charge which was about right for 55% left or whatever it was. so this is what makes me believe its temperature related.